In an effort to protect hunters from hearing damage, Representative Avery Bourne (R-Raymond) co-sponsored Senate Bill 206 this legislative session. SB206 was an attempt to remove the prohibition on the use of a suppressor or other device to muffle the sound of gunfire. This noise can permanently damage hearing, even if the shooter is wearing ear plugs or muffs. The legislation states that a suppressor, allowed under the National Firearms Act, can be used on a handgun when on a shooting range. 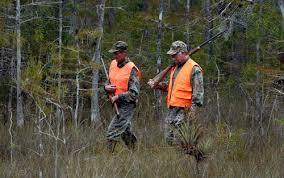 While hunting, an individual would be able to use the suppressor on long arm guns. “This is an issue I consistently hear about from constituents. One of the issues is that there are a lot of misconceptions about suppressors. Suppressors don’t make firearms silent; instead, they muffle the sound in large part to prevent hearing loss and noise pollution,” said Rep. Bourne. This legislation passed the Illinois House but, unfortunately, had not yet been called in the Senate. Representative Bourne has received a number of inquiries about this legislation and will continue to push for its passage in the General Assembly.